Wireless Audio Transceiver (WAT). 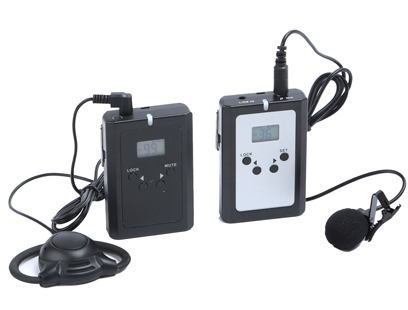 It consists of a transmitter and a set of receivers that are ideal for international conferences that require support for multiple languages. The WAT01-NG2 (second generation) is our latest product. It has all the most important features (long range, excellent sound quality, multi-channel support) of the previous WAT01 system. It has a new design, a wired charging port and a dual input for transmitters. This allows the two cables to speak simultaneously. It also enables simultaneous transmission of MP3 sound and speech. lithium batteries in receivers can be recharged several times and last up to 32 hours.